Wilkinson Eyre designed Dyson School of Design Innovation yesterday received planning permission from Bath and North East Somerset Council’s development control committee. The approval, which has raised some controversy amongst conservation-minded groups in Bath and was passed by the committee yesterday, can be viewed as a victory for modern architecture in the UNESCO World Heritage-listed city. Wilkinson Eyre’s scheme has been applauded by the Urban Regeneration Panel and favourably reviewed by English Heritage. Reworked to take into account concerns about the flood risk on the riverside site, and integrating four of the main facades of the Fuller-designed Newark Works factory building on the Lower Bristol Road. To the river frontage it presents a crescent-shaped glass façade, with a river walkway and new footbridge connecting the school to the old city. 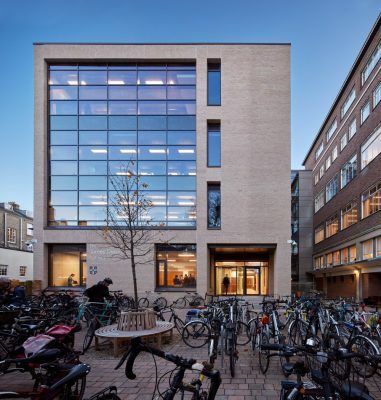 ‘This granting of planning permission, in the face of difficult opposition, is a major triumph for the project, and a tribute to the hard work by Buro Happold, The Dyson Foundation and the team at Wilkinson Eyre.